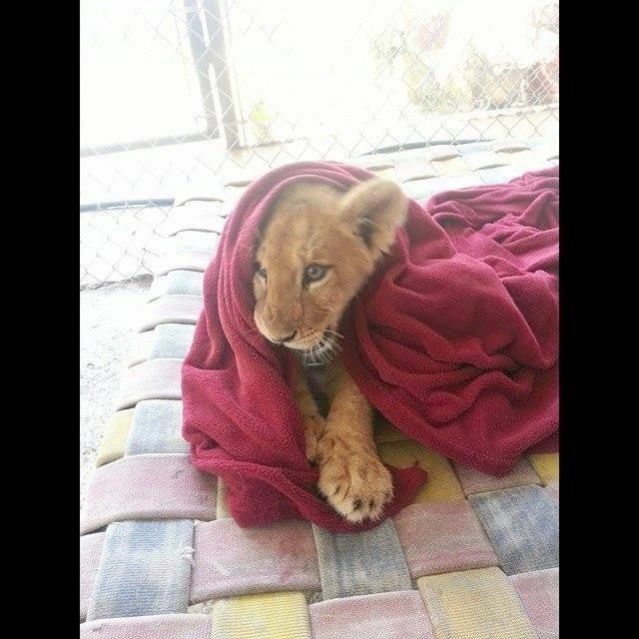 According to The Dodo, a familiar series of events brought Lambert the lion to In-Sync Exotics Wildlife Rescue and Educational Center in Texas when he was just three months old — after watching Disney's The Lion King, a 2-year-old and a 3-year-old begged their father for a pet Simba of their very own. After illegally obtaining the cub, the private owner realized raising Lambert proved too much of a challenge and left him in capable hands. Belatedly realizing the realities of having an exotic pet is heartbreakingly common, as is learning that the animal has developed some quirks while living in a domestic setting. 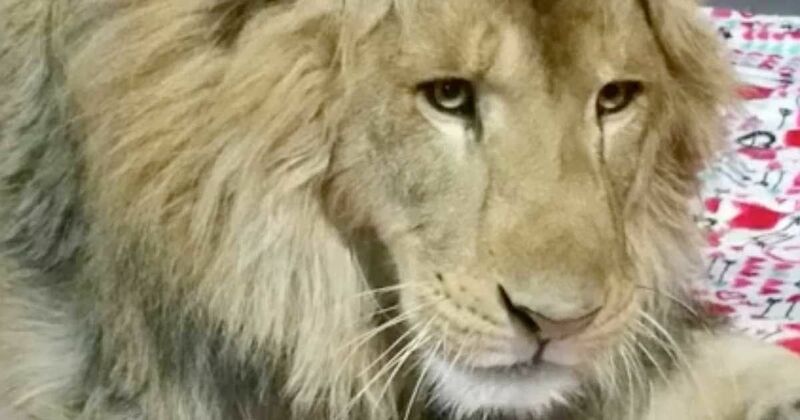 Vicky Keahey, founder of In-Sync Exotics Wildlife Rescue and Educational Center, tells The Dodo that Lambert's initial behavior was more typical of a dog than a lion, "because he lazed about in the yard and enjoyed the sunlight pouring down on him." "I started thinking, 'Okay, he's used to being in a house, he's used to sleeping in the bed with grandpa.' 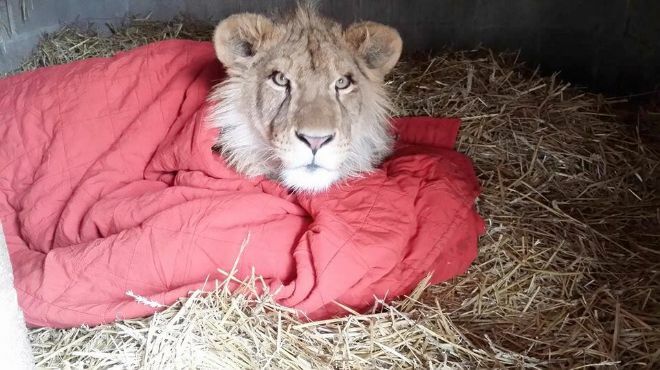 So I got him a blanket, went into the enclosure and put the blanket in one of the corners. He curled up on that blanket and he went right to sleep. Ever since then, I always give him a blanket." Even during rainstorms, Lambert's trusty blanket makes him feel safe and secure. Now 2 years old, Lambert still finds comfort in blankets at bedtime, proving you can never be too big or ferocious to snuggle up. To see more adorable shots of Lambert and his assortment of cuddly blankets over the years, be sure to check out the video below. Do you have a favorite blanket you like to cuddle up with from time to time? Don't forget to share with other big cat fanatics!